Prison Break is breaking records. Variety reports the trailer for FOX’s highly anticipated reboot is the most-watched preview for the 2016-17 season. The reboot will reunite original cast members Wentworth Miller, Dominic Purcell, and Sarah Wayne Callies for an all-new adventure. As of reporting, the Prison Break trailer has reached nearly 6.7 million views since it was posted on Monday. 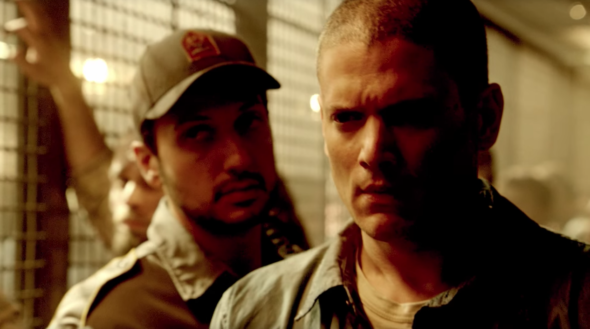 The preview reveals a major twist, that Michael Scofield (Miller) may be alive after all this time. Prison Break is slated to debut on FOX in early 2017. What do you think? Are you a Prison Break fan? Will you watch the revival series? More about: FOX TV shows: canceled or renewed?, Prison Break, Prison Break: canceled or renewed? Prison Break: Will T-Bag’s Breakout Kings Appearance Be Mentioned in FOX Revival? Prison Break: Who’s Returning for the New FOX Series? This is my favorite series of all time. Can you bring it back sooner. I loved Prision Break and was delighted to find out that it will be back on TV. I can’t wait to see it!